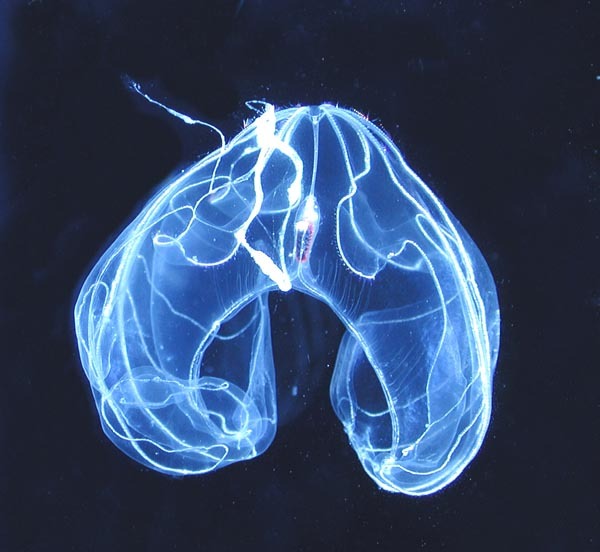 Bioluminescence is light that comes from a living organism, caused by a chemical reaction. The phenomenon is seen in a few land organisms, such as glowing fungus on wood, and insects like fireflies. 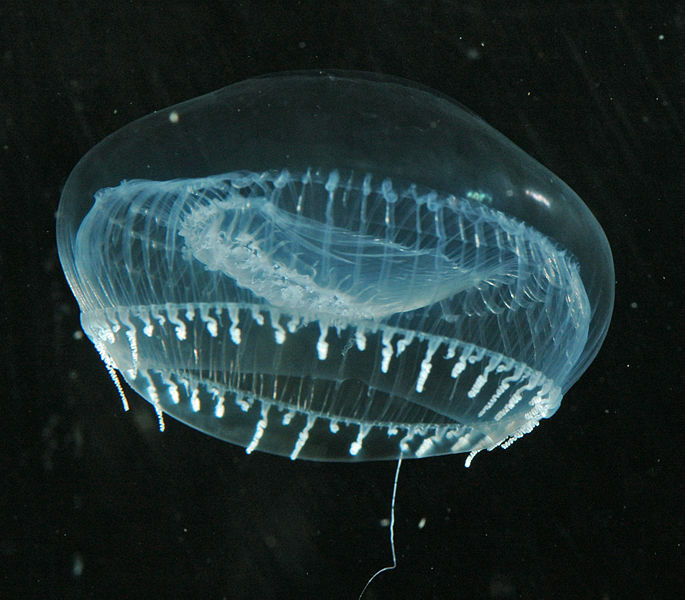 But it is mostly seen in sea creatures living in the largest habitual place on earth: the deep sea. Did you know that 90% of the ocean’s volume is invisible to humans? It extends to such great depths that it is a world of almost complete darkness. In fact, we know more about the moon than the deepest part of our own oceans! In many ways it is more dangerous for humans to explore than outer space. The pressure of all that water (about 10,911 meters or more than 6.5 miles at its deepest point) is incredible. You might think that no creature could possibly thrive under such crushing weight and lack of oxygen. In fact, the complete opposite is true. The deep ocean is full of strange sea creatures which have adapted to this volatile environment. 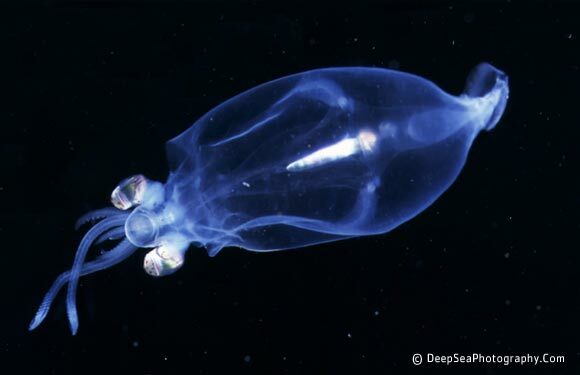 About 90% of deep sea life produce bioluminescence as a way of adapting to their dark world. 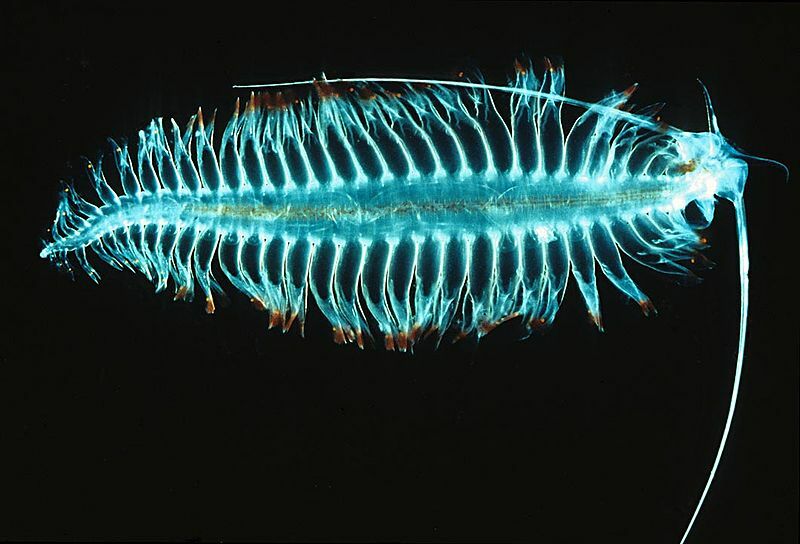 There are different reasons for bioluminescence: some deep sea fish use it to lure prey; to scare predators away; to attract a mate; to communicate; or simply to illuminate the surrounding environment. Because the deep ocean is so difficult to study, scientists are constantly using new pressure-resistant machines and cameras to discover new sea species that produce bioluminescence. Some say the ocean is the true “last frontier”. Here are a few photos of just a few of the wonderful creatures we have already discovered. 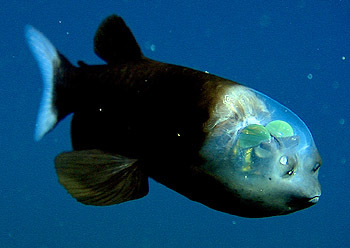 I like the ’Barreleye’ Fish. Cute.That’s if a fish can be described as cute. « He’s mad as a hatter! Welcome to tiny little ant-hill: a tiny little space where learning is fun and fun is learning. Pull up a chair and stay a spell! And please don't mind the ants, they're nice and polite and will stay out of the way. Navel oranges: more than meets the taste buds! Strength in numbers: animal group names. He’s mad as a hatter!